The MSX computer standard was big in both Japan and Brazil. But despite a sizable cult, it may be the most obscure part of Microsoft’s history. Here’s why. Bring a spark to your message. Project Counsel Media is looking to highlight interesting companies both on-screen and in the written word. 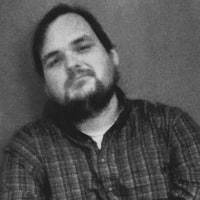 Founder Gregory Bufithis, a digital media lawyer and journalist, knows a thing or two about telling great stories. Let him tell yours. 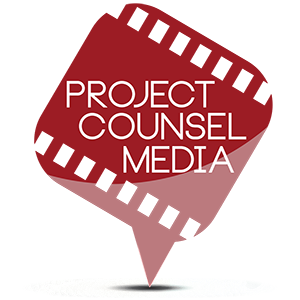 Today’s issue is sponsored by Project Counsel Media. See yourself here? These days, Microsoft gets a lot of credit for its extremely diverse approach to its products. Rather than trying to force you to use its platform, as it might have done in the past, it comes to you. Wanna use Word on your iPad? Done. On a Chromebook? This isn’t 2003, we’ll cater to you. Part of the reason why MS gets this credit is because the company wasn’t always like this. In the 1990s, its success with Windows led the company to take on a more monopolistic tone, especially in regards to the internet. The U.S. Department of Justice had to get involved. But going back a little further, it’s clear that this cutthroat behavior was not Microsoft’s original demeanor. The company, at the very beginning, was interested in being part of whatever nook and cranny it could find—partnering with firms of all stripes in the years before it became clear that IBM’s vision of the personal computer, which it also had a role shaping, had won. This is the mindset that brought the world MSX, a computing platform that aimed for the lower end of the market, which was arguably where the most interesting things were happening in the 1980s. Commodore, Atari, Sinclair Research, Texas Instruments, and Radio Shack all played in this space. 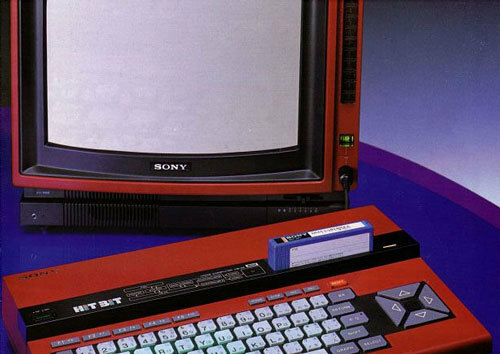 When first introduced in 1983, MSX had a lot going for it: off-the-shelf hardware, a lot of support from large electronics manufacturers, and the backing of Microsoft. MSX was a standards play at a time when nobody was really thinking in terms of standards, at a point when clone systems on the PC were only starting to emerge. So why haven’t you heard of it, you might be thinking? Well, it was an initiative of Microsoft Japan. It’s probably no surprise the company had a Japanese arm; it’s probably slightly surprising that the company had one so early in its history. But there’s a reason for that: The Japanese arm came to them. Around 1977, Kazuhiko Nishi, an engineering student who was the same age as Bill Gates, made a special trip to the U.S. and made the case to Gates and Paul Allen that he should start an Asian arm of the company operated by Nishi’s existing company ASCII Corp.—and immediately proved his worth by talking the Japanese electronics manufacturer NEC into creating its own line of computers around Microsoft’s software. The knowledge the company gained from the project would prove invaluable soon after, when IBM came calling. Adding to their celebrity was the impudent style of Mr. Nishi. His ability to captivate executives two and three times his age was matched only by his ability to appall them by being extravagantly rude. More than one Japanese manager recalls hearing Mr. Nishi give a formal presentation at a business meeting and then rise from his chair, stretch out on the floor and fall immediately asleep. Other times he dozed off in his seat or stared off into space breathing noisily. He also began indulging in splashy luxuries that were out of place in Japan. He hopped from appointment to appointment in a chartered helicopter, sometimes touching down dramatically at a corporation’s front door. He took up residence in an assortment of expensive hotel rooms, where he caught quick naps in between late-night and early-morning meetings. Nonetheless, Nishi’s relationships with industrial Japanese giants would become important in the mid-1980s, as a number of them were looking for a way to enter the home computer market. His solution? Build a standard that all these companies could work around—and that standard became MSX. When first announced in 1983, the endeavor had taken in 14 major Japanese manufacturers, including Canon, Fujitsu, General, Hitachi, JVC, Kyocera, Matsushta, Mitsubishi, NEC, Pioneer, Sanyo, Sony, Toshiba, and Yamaha. The idea to standardize came from the home video market, where the bruising battle between VHS and Betamax was proving the value of consistency. It also provided an opportunity, Nishi argued, to further deepen the reliance of computer manufacturers on Microsoft software. The standard that Microsoft built, based on a design produced by the American computing manufacturer Spectravideo, had many of the guts of a home video game system—its Zilog Z80 processor and Texas Instruments TMS9918 video chip were key parts of both the Colecovision and the Sega SG-1000, which evolved into the American Sega Master System—and largely relied on cartridges at a time when most home computers had already moved onto floppy disks. This ultimately encouraged the system’s reputation as a computer that was really good at video games. Nishi led the marketing efforts behind this new standard, which had Microsoft’s Basic implementation at the center. But despite the fact that this was a product that would essentially not exist without the work of an American company, MSX was basically a nonentity inside of the United States, in part due to timing: The idea of the system only came about in the middle of 1983, at a point when many players in the U.S. computing market were well-established and one in particular, Commodore, was pushing an aggressive price war. That made the noble goal of the MSX’s standardization play less useful. Still though, MSX survived a full decade as a supported platform, with a series of backwards-compatible upgrades—and it can be argued, as the YouTube channel Game Sack does, that the system really hit its stride with the MSX2. It was a fascinating platform, and one worth knowing more about. — Kazuhiko Nishi, in a 1986 Wall Street Journal article, discussing how his relationship with Microsoft, and Bill Gates, broke down. While Nishi had frequently shown signs of brilliance during his years leading Microsoft Japan through a partnership with ASCII, he sometimes would do things that Microsoft didn’t understand—most infamously, when Nishi spent $1 million to have a special-effects pro create a life-size dinosaur to show off outside a Tokyo train station, without telling his bosses. Concerns about Nishi grew as the fast-growing Microsoft barreled toward an initial public offering on the stock market—and Gates would often have to manage the conflict. “Kay would rather see it all go down in flames than feel like he’s compromised in some way,” Gates told the Journal. The relationship eventually broke down from there, though Gates emphasized there was no ill will. ASCII, which lives on today as the firm Ascii Media Works, later became well known as the producer of a number of popular video games, with their best-known series in the United States probably being RPG Maker, variants of which are still made today. The name was a riff on Microsoft only when it was convenient. Effectively, MSX had the same branding strategy that MSNBC does now. Per the MSX Wiki, Nishi initially didn’t intend to make the system refer to Microsoft, but rather create something that riffed off the names of specific manufacturers. Early on, Microsoft embraced the idea that the name was a reference to itself, but when the platform failed to become an overarching standard, it effectively disowned it. Many of the NES’ most famous developers also developed for MSX. 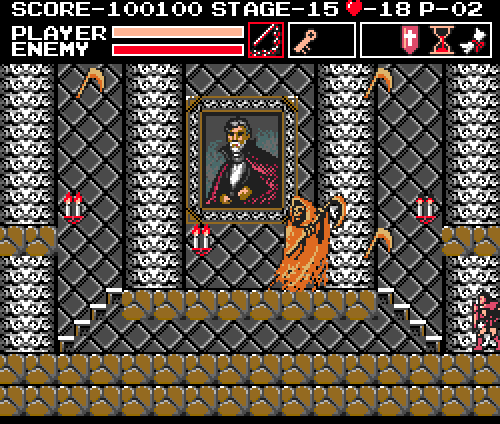 A month after the release of the first Castlevania game for the Famicom Disk System and nearly a year before it appeared on the NES, a similar (albeit rebranded) game called Vampire Killer surfaced on the MSX2. (The gameplay style is a bit different, but they’re enough in common that someone created a patch in 2016 to make the MSX game more like the NES one.) This was not an uncommon state of affairs at the time, as Konami frequently produced games for both platforms. In fact, one of Konami’s best known series, Metal Gear, originated on the MSX. Like the Sega Master System, the MSX was big in Brazil. A few years ago, I pointed out the surprising success of the Sega Master System in Brazil, which was still being produced in one form or another decades after the system’s original release. Similarly, the MSX had a gravitational pull on Brazil, with the system effectively outpacing the success of every other major platform of the day. This was thanks to two manufacturers, the international manufacturer Sharp and the local manufacturer Gradiente, the latter of which created systems that were heavily promoted in the country throughout the late 1980s. The easiest place to get an MSX in the U.S. was a music store. Yamaha, a company best known for its synthesizers and other musical instruments, produced a number of MSX machines throughout the ’80s, and some of them made it to the U.S., making it one of the few MSX manufacturers with an American presence. Probably the best-known of these was the CX5M, a machine based on the first-generation MSX1 standard. What did music professionals think? Well, opinions were mixed. In a 2005 article for Nuts and Volts, writer Edward B. Driscoll, Jr. argued that the machine was simply too difficult to use for music production. “The problem was that it was a bear to program these sounds—both programming new sounds and programming compositions based on those sounds,” he wrote. The MSX was early to the modern FPGA trend in retro gaming. In recent years, as I pointed out in a 2016 piece, some enterprising retro gaming enthusiasts have embraced the use of field-programmable gate arrays (FPGAs) to effectively recreate vintage hardware in a modern form, with Analogue’s Nt Mini, Super Nt, and the open-source MiSTer project being the three best-known examples. But the MSX community had produced an FPGA-based recreation of the classic computer called the 1chipMSX way back in 2006, as part of a mini-trend of recreating classic computing platforms with modern hardware. Here’s a video of the system in action. It might seem strange, given what we know about MSX, to compare this system to Windows Phone, which was an American product through and through (albeit with the help of a failed Finnish acquisition). To an outside observer, it might seem like the better comparison point for the MSX platform might be the Xbox, which like the MSX, is best known for its games. But if you look a bit more closely at the structure of the platform, it becomes clear that MSX and Windows Phone actually share much more in common than at first glance. Each was an also-ran in its given market—MSX, while successful in Japan, was a relatively small player even there, with machines from NEC, Fujitsu, and Sharp proving more successful, even though these competitors were often proprietary. MSX was ultimately an early version of what Microsoft would later do on its more tightly controlled platforms, Windows Phone in particular. There were a number of important parallels at play with Windows Phone: First off, it was an attempt to get manufacturers on board a single platform built around Microsoft’s own ideas. Secondly, it was genuinely innovative thinking that would prove influential to later eras, as Windows Phone has already proven to be. Third, both were victims of relatively late timing on the market. And finally, while the offering itself didn’t reach its full potential, it did position Microsoft in a useful way in the end. If anything, the key difference between the two, beyond geographic considerations, is what they were competing against: While MSX was essentially a response to fragmentation created by home computer manufacturers that cared more about market share than compatibility, Windows Phone was a response to a proprietary platform, iOS, of course, but it also was competing against a separate standard that had already nailed down Microsoft’s model—Android. And it’s worth pointing out that Windows Phone came after the failure of a similar idea, Windows Mobile. MSX reflected the brilliance of Microsoft’s strategy: It wasn’t a bad bet, because Microsoft was making lots of bets and it knew that at some point, one of them was going to pay off. With MSX, Microsoft had realized, likely years before its competition, that a market full of incompatible computers was eventually going to become unsustainable. And Windows Phone played around, successfully, with the idea that users are going to want a unified interface for their systems. The computing industry has benefited for decades from the former finding; we’re already seeing Google, and to a lesser degree Apple, figure out the latter. While MSX doesn’t garner a single mention on Microsoft’s own Wikipedia page, it’s clear that it was a useful playbook for the company’s later dominance in the Windows era. Since its heyday, MSX has remained something of a cult favorite among gamers, who have come to appreciate its wide selection of games and ports of classics that are better known for their appearances on other platforms. Beyond the aforementioned Metal Gear and Castlevania, Final Fantasy made an early appearance, as did Gradius and Bomberman. Debate is common among fans of the platform as to whether the MSX variants of the games are better than the NES ones. 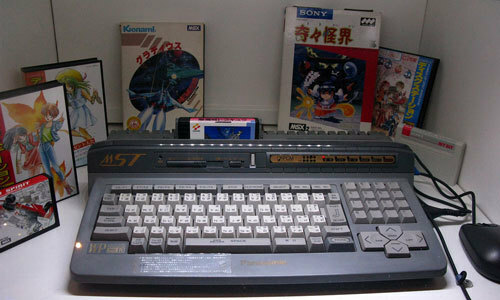 While the MSX has notable weaknesses, particularly when it comes to scrolling, the versions of these famed Japanese games targeting computers often win out. And the fan community is fairly strong. MSX.org is perhaps one of the most faithful fan communities for a relatively obscure computing platform that you’ll find online, one that warmly embraces the status of this machine. The platform maintains an active homebrew scene, one that occasionally does very impressive things. There is an extremely faithful (if glitchy) demo of of a port of Super Mario World to the MSX2 that is very much worth trying, if only to marvel at the technical skill needed to create a game like this on much less powerful hardware. It’s unfortunate that MSX has largely been downplayed as a part of Microsoft’s history, even though the history was a bit messy, as it reflects the kind of company you want to root for. It put Microsoft in the rare position of being an underdog—just like Windows Phone did. Find this one an interesting read? Share it with a pal! And thanks again to Project Counsel Media for their support.